* Dragon Pet: Obtained from winning a battleground. Everytime you win a battleground, you have a chance this pet is mailed to you. (Tip: Running Warsong Gluch with a team is probably the fastest way to get a Gold Medal). Its about 5% chance to get a medallion after winning at Battleground. I'm fairly certain it's quite a bit higher than 5%. Almost everyone I know has gotten it within 10 wins. 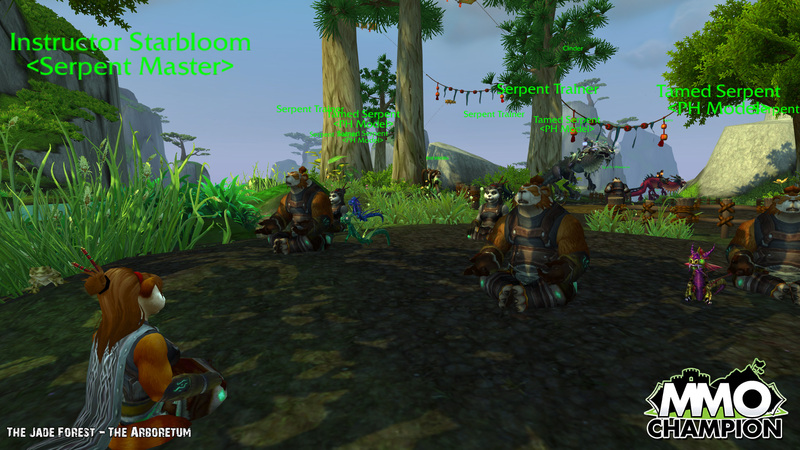 Either everyone in the battleground gets one for winning, or everyone in the group joining the bg does. Me and my nephew both got it after the same bg, both chars had never pvp'ed before. The drop rate is completely random... I know most people who have won about 20 Battlegrounds who have still not gotten the Medallion yet I got mine the first try. If people keep trying, these are going to be VERY common. It would be cool if you had different prizes every week but I guess we'll just have to trust Blizzard. Farming this all day in AB, AV, and WG, across 5 toons and only one of them, a former alt turned bank alt... got the pet. That toon got it on her first BG, first time ever used in PvP. For those concerned about how common pets are, remember that any time blizzard release a new pet, they're very common for a while and become rarer. When WoW was released, everyone was running around with a panda or a mini diablo, now mine is the only one I ever see. Is this thing unique per account on a server? I've got mine on my main after first win, yet I've been trying for 2 days to get it on my alt, no success. Does anyone have more than one on a server? Yes, two of my characters on the same server have it. Don't go throwing this away just because it's an inventory hog; in Wrath of the Lich King this medallion will be converted to a spell, as will every other minipet, and so you won't need to have this item after that time. But, without it you probably won't be able to get the spell. As this is a new item I can understand people saying "It took me 20 wins!" or "I got it on my first try!" but the bottom line is that these comments cluster up the worthwhile information, and don't help people get their pet. Random chance drops like this pet could be 99% and still take 20 games to win, they could be 0.1% and you could get it on your first try, but if you keep trying you will get it. That's all you really need to know- you have a chance to win it after every battleground you win. Please stop clustering this page with inane comments that don't help people. 2) If there are two that are close to each other get the one that lasts shorter. Usually, the fastest games are EotS in my experience. 3) Unless you have friends with good gear, DO NOT join up as a premade just to get all your friends a win; you will get matched against another premade and most premades have at least a majority of pvp gear on all of their members. Good luck getting your pet dragon! If this link is correct, and it is indeed a 20% chance per win, you can expect it to take an average of about three wins to get yours (.8 ^3 = 51%). Of all things i wished to have luck with i get this! Not knowing of the event i logged on the other morning and did an AB...we won the game and i noticed i had mail...thinking i had sold something in the AH i ran to see whut it was! I got both this and the tabard at once on my first BG! I know you get tabard on ur first BG but getting both! Has anyone figure out the proc rate on this item? According to Warcraft Small Pets there is a 1 in 8 chance of getting it after every victory. That sounds about right, since I got it after my first victory. I think there is a more reliable way to get it. I played one BG on one of my toons (first time since this thing started) on its daily and won it the first time. In the mail I got the tabard and the medallion. I went to another server and did the same thing, only this time I lost the first one. I got the tabard but no medallion. I would surmise if you manage to win the BG daily on your first try of the day then you will probably get the medallion. It sounds reasonable and it may offer incentive for people to premades to increase their chances of winning their first BG daily. Also like the machanical squirrel you can get it out whikst running/fighting, presumably so it can watch you die. Again. Nice! I was pretty excited. I thought at first that the spirit would help you fight but to my dissapointment. :P lol. Oh well its still cute, and I dont think I've played BG's more than 10 times. So I was pretty lucky. :) The Tabard looks rediculous on me but I'm always open to items that show what I've done. Good luck to those trying to get these items. They're fun. Unlike most other pets, you can summon this pet while running. As (VERY) unlikely as it sounds... this MAY be correct, as i also won it on my first BG this event, as the daily. I don't know why you guys shot that person down who was talking about winning the daily, because I'm pretty sure that's how you get this. I've tested this on 3 of my 4 level 70s now. I accepted the WSG daily PvP quest, lost the first match, won the second and got the dragon. With the second and third characters, I wont on my first round each time, and got the dragon on both toons as well. If it isn't that, then probability has a funny way or working with me. Ok I have done this on three characters now, if it's just pure luck or coincidence, well, you decide. On another character, I took the tabard out and tried to get the pet, with no luck at all. I still haven't gotten it on that character. As I said.. Luck? Coincidence? It makes a very soft flapping sound. Just got this after I finished my second Warsong Gulch battleground. Got the tabard a couple of days ago then go this one today. It has the same motion as a Wind Serpent. I won about 15 bgs and still nothing. I must be very unlucky but I keep trying. On my main, I got the tabard on my first BG and the Gold Medallion on my second BG - both wins. On my alt, I got the tabard in my first BG and have been trying to get the Medallion since the competition started. I've probably won 15 BG's with no Medallion. I think the base chance you will get this is 10%, but your real chance probably depends on how many people on your team already have one. If nobody has one, then it would be a 10% chance for everyone; If 1 person has one, it would be a little over 11%; and so on. This is just a possibilty; it might be a flat 10% no matter who has one. I'm amazed. I just did the AV Daily today, and got the medalion! 1st won AV and medallion was in the mail. I hate BGs and had to attend just one to win the pet. Yay! The event is over, so this item is No Longer Available to Players I suppose. will this item still be availble the next olympic event? and can it still been obtained after deleting it? Next Olympics will be in London, and after that, Rio de Janeiro. I wonder what could come out of that! This is by far one of my favorite pet out of my (still expanding) collection of pets. I especially love to pull this out in front of guildies and have them ask me where I got it. What's the betting that for london it'll be something completally boring like a british bulldog? <_< For a lot of Scottish folk that would be so off putting. I'd actually prefer a little red bus as a pet than a dull ugly dog :p it could beep every so often and critters could ride in it! That or one of our own mythical beasts. Just for the love of god NOT either of those HORRIBLE MASCOTS! This was and is my favorite pet. I got it on my main character during the Olympics in '08. I went into a battle ground for fun and got the tabard and the pet on my first try. Sounds like it was a really lucky thing. I'm so glad that I didn't get rid of it from my bag. Now I pull it out all the time and parade it round. Everytime I think of this pet I'm overwhelmed with sadness. I had this many an age ago, when pets were mere summon/dismiss items (before the pet tab). I was pressed for space one day and went to delete some stuff from my bags and thought I was deleting the Olympic tabard (which imo is ugly). But I had accidentally deleted this. And now I shall never have this amazing fellow. It was not long after blizz patched both Achievements and the Pet/Mount tabs into the game. Looks like Blizzard finally found another purpose for this model. It appears that they intend to use this, and other recolored versions of it, as babies of the Cloud Serpents, as seen here. hope it and the tabard will eventually become accountbound cause i want this on my main.